Home - D&L Concrete & Fiberglass Products Ltd. NEED A RELIABLE AND REPUTABLE INSTALLER? 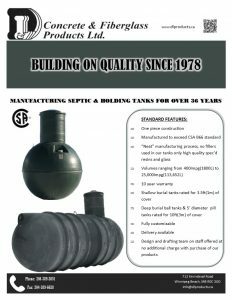 D&L Concrete & Fiberglass Products Ltd. is a proud manufacture of CSA certified concrete and fiberglass above and below grade bulk storage/holding/septic/cistern tanks for the water and wastewater industry, as well specially fabricated custom fiberglass or concrete items. 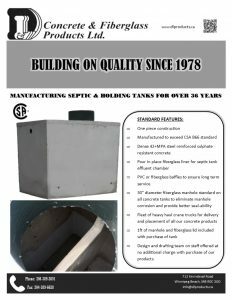 We are family owned and operated and have been manufacturing tanks for over 36 years.